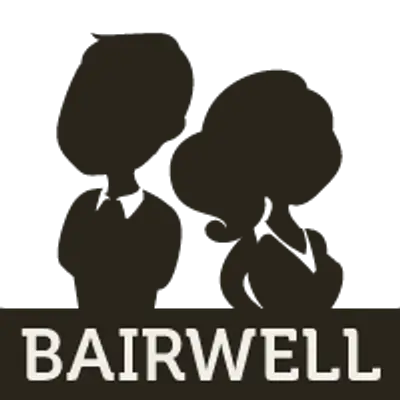 Bairwell Ltd (Bairwell) is extremely strict with privacy – from the basics (such as registering with the UK’s Information Commissionaire’s Office [ICO]), to the more technical (offering our website securely over HTTPS) to the extreme (we support PGP/GPG encrypted emails) – but we’ve got to let you know what we do with your data. So here it is! As we’ve got to state things in legalese, we’ve tried to include a human friendly version where possible. However, if there is a disagreement between the legal text and the human friendly text, then the legal stuff is the legal version. For the purpose of the Data Protection Act 1998 (the Act), the data controller is Bairwell Ltd whose registered office is at First Floor, Telecom House, 125-135 Preston Road, Brighton, East Sussex, BN1 6AF and who is registered as a data controller under registration number Z1510032 . This just lets you know who we are. By using this website and/or submitting your information, you unconditionally consent to the use of that information, by Bairwell Ltd (Bairwell) only, as set out in this statement. Please check this privacy statement periodically so that you are aware of any changes or amendments; we will detail the changes on this page and may place notices on other pages of the Bairwell Ltd web site. Continued use of the Bairwell web site will signify that you agree to any such changes. By using this website, you agree to this policy. Cookies are small text files which contain information that is transferred to your computer’s hard drive. Google Analytics which is a web analytics tool that helps us understand how visitors use our website. Google Analytics uses first-party cookies to track visitor interactions, which website you came from to get to here, how long you spent on our site, what kind of computer you are using and other similar information. We do not send any “personal identifying information” (such as your name or email address) to Google Analytics. However, it is possible that Google may use the analytical information in conjunction with other information they have access to (such as if you have a Google or Youtube account) to connect your viewing of our website to personally identifying information. You can opt out of Google Analytics by using the Google Analytics add-on or you can disable or block the acceptance of cookies in your web browser. CloudFlare also provides security services to block people who may try and abuse our website. It sets a cookie on your computer to indicate how much CloudFlare trusts you and your connection. Whilst you can block the CloudFlare cookie it is necessary for CloudFlare security operations and disabling or otherwise blocking it may lead to security prompts being displayed instead of our website. This cookie is called _cfduid and you can read more about it on What does the Cloudflare cfduid cookie do? Like a large number of internet sites, we use Google Analytics which puts a small cookie on your computer. You can turn this off if you want and it won’t affect things. CloudFlare is also another service we (and many others use) – blocking their cookie may mean you get security prompts show up. We may collect information about your computer, including where available your IP address, operating system and browser type, for system administration purposes. This is statistical data about our users’ browsing actions and patterns, and does not identify any individual. The IP address and associated information may also be used to prevent network abuse against our resources. When your computer asks our computer (the server) for a web page, it tells us your IP address and little bits of information about itself. This is automatically logged in the servers logs and counted up. We might us this information to block you (if you spam our site) or so we can see how many people visited a page. If you contact us by completing a form on this web site, your email address and, optionally, other personal information will be stored. This information will be used to contact you and to help us understand your requirements. You will not be added on to any mailing list. All email is received by our server in Guildford and then stored by Google. Due to this, emails may be stored at a destination outside the United Kingdom and the European Economic Area (EEA). If you are concerned about this, please contact us by telephone instead or send a GPG/PGP encrypted email. If you become a customer of ours, we will store your name and billing details (such as your address and invoice amounts) on our online accountancy software . Occasionally we have need to use third parties (such as contractors, delivery companies or billing/payment companies) to do work we don’t do ourselves – in this case, some information will be sent to them so they are able to perform the service requested (for example, if we need to send you something, the delivery company will know your address: if you pay us via a payment system, then they’ll know your card details etc). We maintain strict security standards and procedures with a view to preventing unauthorised access to your data by anyone, including our staff. We use leading technologies such as (but not limited to) data encryption, firewalls, server authentication, user profiles and passwords to protect the security of your data. We only collect the information we need to reply to you or to work for you (and subsequently bill you). We do use Gmail (by Google) so they might know you’ve emailed us and our accountants will know we’ve billed you as well. Sometimes we use third parties to perform certain work and we might tell them basic details so they can do the work. We won’t tell anyone else your information unless we legally have to. As a matter of routine, we try and ensure all telephone calls are recorded by our telephone provider on a “best effort” basis. This allows us to review calls at a later date (for example, to double check we’ve done what you have asked). Our telephone provider also provides to us a textual version of any voicemails left to us. We cannot guarantee that any telephone call is actually recorded, but most calls should be recorded. Our websites may contain links to third party sites or content. We cannot and do not take any responsibilities for their content or their privacy policies. We might link to other websites – and they’ll have their own policies in place.